Epos Encore 50 review | What Hi-Fi? We've reviewed thousands of speakers over the years, but this is the first time we've come across one that comes with its own skateboard. It's needed, too. Each Epos Encore 50 stands 1.2 metres high and weighs in at 45kg: it's an awkward lift for two and virtually impossible for one person to unpack and set-up safely. The skateboard makes it easier to move the speakers without causing damage. The birch-plywood/MDF box is immensely solid but there's a lack of attention to detail when it comes to finishing areas that aren't immediately visible. Our review samples had poorly finished bases, and the bolt holes on both plinths were drilled roughly. The Encore 50 is up against some fabulously built products at this price level, and anything less than immaculate isn't good enough. Once set-up properly – in free space with a touch of toe-in – these speakers continue to produce mixed results. They go loud, very loud in fact, without struggling. They're rated at 500 Watts power handling, and that's easy to believe. Listening to Tinchy Stryder's Catch 22 at ever increasing levels we gave up long before the '50s even showed signs of hardening up. They remained composed and refined no matter what we threw at them. If a recording is bright or aggressive they'll reveal the flaws, but they absolutely refuse to be provoked into over-reacting. 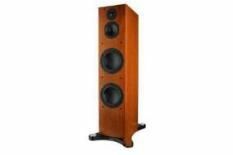 The combination of high volume levels and great bass produces a sound of massive scale and authority but, unlike some other Epos speakers, the Encores don't time particularly well. and you end up with a speaker that's hard to love. A decent level of detail resolution and fine integration aren't enough to save things. If you're a fan of complex, large-scale orchestral works there are few speakers at this price level that can deliver such power and poise but, important as poise and refinement are, they're no substitute for entertainment.